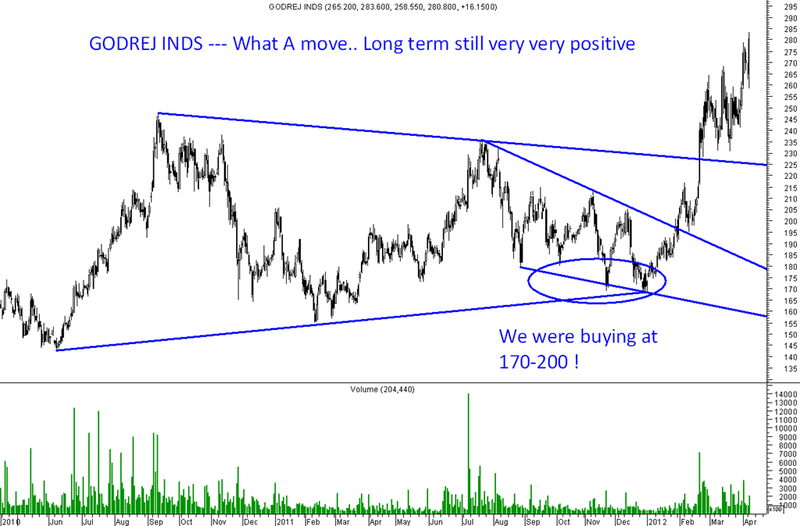 Godrej Inds – A classic move from 180 to 280. Godrej Inds which was a favorite at 200-170 levels as a must have in the portfolio for investors has performed significantly over the last 6 months. Giving a return of 50% + as well as being a defensive bet did not fall in the whole period of August to December where everything else took a knock. The last few updates on the stock posted on this site. Godrej Inds – Lots of Value and Low downside risks. The stock gave a good 30-50% gain in our Portfolio – ANALYSE WEALTHWYSE . It used to comprise around 10-15% of the portfolio now with partial booking comprises around 7-8%. Would you like to have such defensive investment picks in your portfolio ? make good returns ? Without looking at the screen ? Long term Investment picks with low downsides ? If YES then opt for the ANALYSE WEALTHWYSE product which is available at a nominal price of 9999 per year. Any queries on it please mail to analyseindia@analyseindia.com or call Kazim 09821237002 /Asif 09833666151.
do you like Bharthi @ CMP? Also IVRCL, has this more upside left from 70 Rs. I wanted to take a moment to write this for you and your organization for your relentless services (Free services) which allow people to make money and more money. Needless to say your predictions and analysis have been more hit than misses. I have also noticed your hard work, how early you put things up for review for readers. I am sure that this is not just for making money but your passions for market. Just imagine if someone would have bought Godrej Ind. And invested around 2-3 lakhs? – that is some serious money to make similarly for Aditya Birla Nuvo, NESCO or Bombay Burma, etc. etc. As always I have been referring people to your blog and will keep doing. Thanks again. Good luck. Thanks a lot for the kind words and good to hear this from some one who has been reading us for a long time. Its the passion which keeps me going and we continue to work hard and with utmost honesty and hope for good results. In the last few months it was a good time to get some low risk opportunities and many are available now for investors. All the above stocks form a major part of our model portfolio. 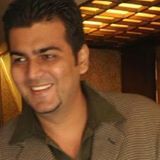 Have come out with Wealthwyse plan with same intent. Hope and pray to get good low risk returns next 1 year. I bought this share around 180 levels and keep on booking partial profits. Now I am left with 10% of holding. Should I book complete or some steam is still left in this? I would suggest to forget the 10% as free shares till you dont need the money. Expect Nuvo to do something similar lets hope.